World of Magic SLURL is a fantastic two week long shopping event with a Wizarding World Theme. It started last week and will end this weekend on the March 3rd. I'm showcasing two designers from it here! 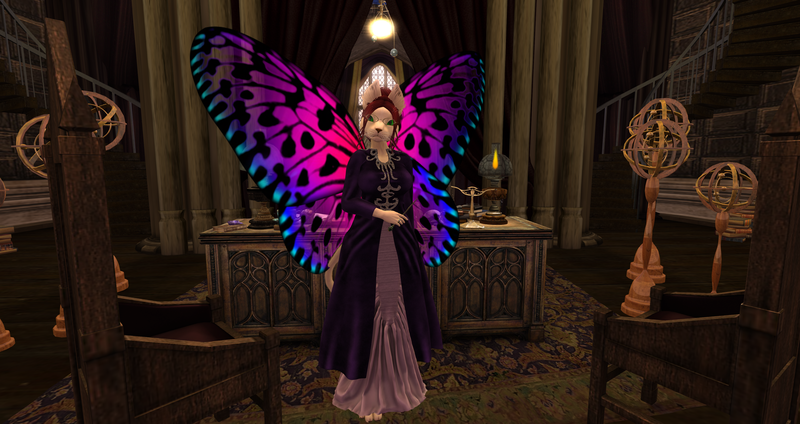 The most obvious one is the amazing Narcissa Dress & Coat by Sweet Kajira. The coat and dress are sold separately and come in a wide range of colors. 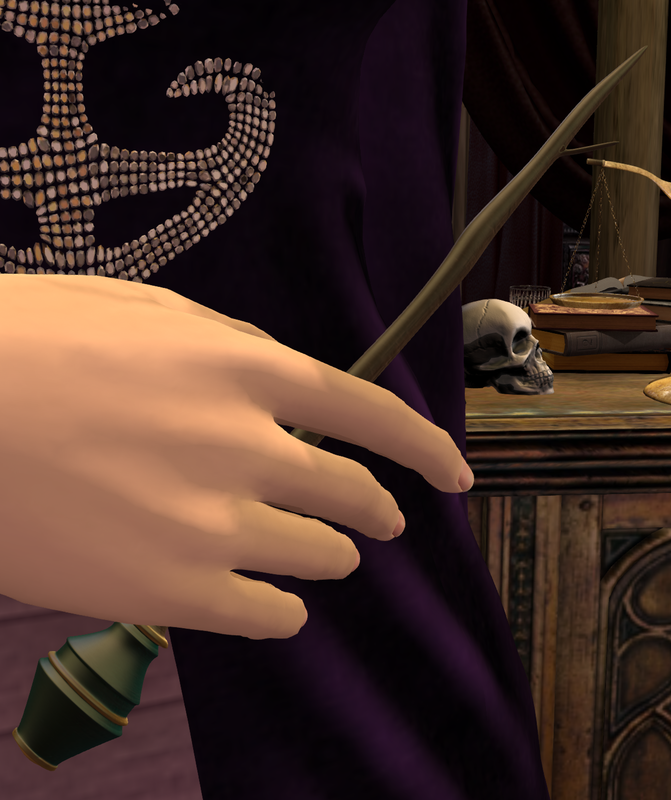 The wand is by a store making its SL debut at World of Magic KORE! Kore has several other wands at the event and the designer is one of my very best friends Persephone. She's put a lot of hard work and time into the wands making each one a unique work of art. These are not knock offs from other sources but out of her own imaginations! It's a great community and Roleplay. I've been a part of it for three years now.